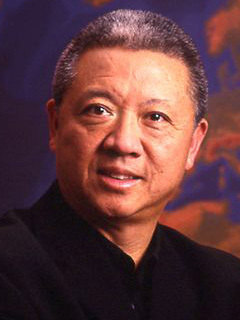 As Founder and Chairman of Panda Restaurant Group (PRG), the parent company of Panda Inn, Panda Express and Hibachi-San, Andrew Cherng has created a company that strongly believes in its mission “To deliver exceptional Asian dining experiences by building an organization where people are inspired to better their lives.” Andrew’s inside-out approach to both his personal and professional life has created an environment at PRG that prioritizes people and guests before financials—a philosophy that has helped to elevate PRG as the nationwide leader in Asian food services. Panda Express restaurants now includes 1000 locations throughout 36 states and Puerto Rico, and PRG currently employs over 16,000 associates and exceeds $1.1 billion in annual sales. Andrew has been recognized with numerous awards, including being named Entrepreneur of the Year by the Asia Society of Southern California in 2007. PRG was ranked number one by QSR Magazine in the Asian quick-service category every year between 2001 and 2008. In 2004, PRG was named as one of the top five minority-owned businesses in Los Angeles by the Los Angeles Business Journal. In 2005, Andrew and Peggy were inducted into the National Restaurant Association’s Hall of Fame.